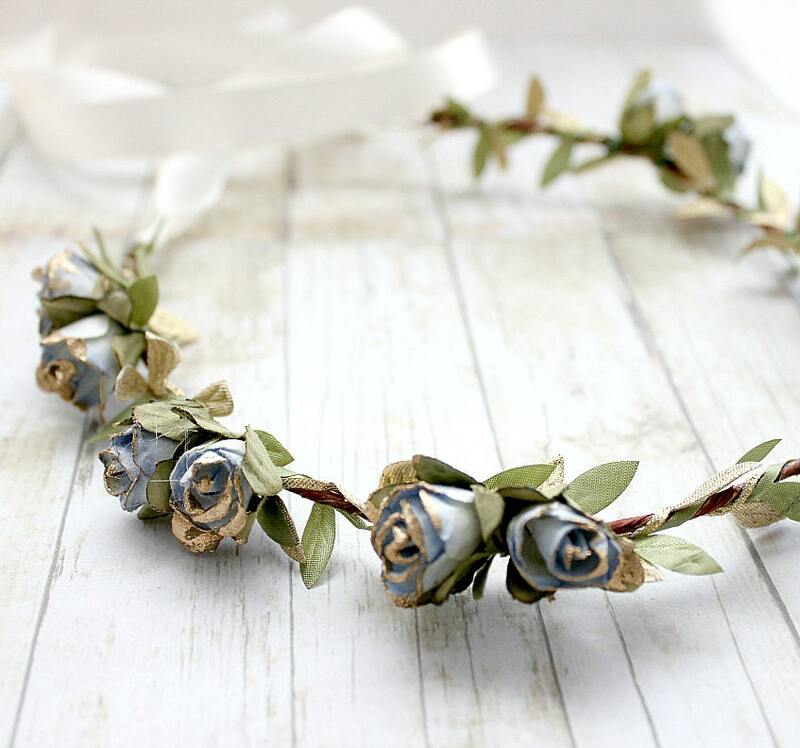 For a sweet "something blue" on your special day! 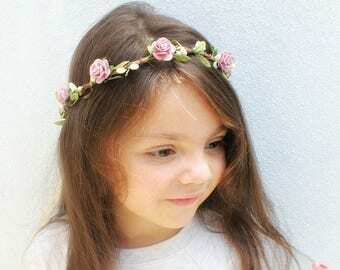 Adorable and magical bohemian inspired halo featuring leaves ribbon in olive green and metallic glitter gold with pretty blue and gold paper rosebuds attached to a vine wire base. 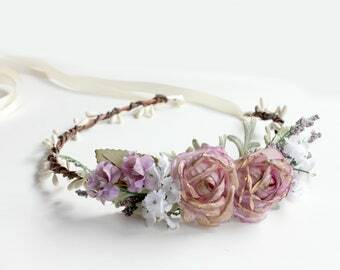 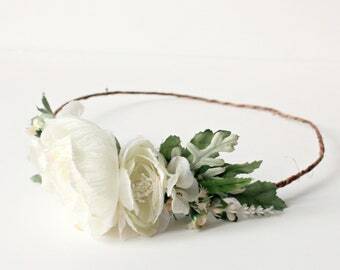 Perfect for a bohemian or garden wedding or just to add a touch of pretty. 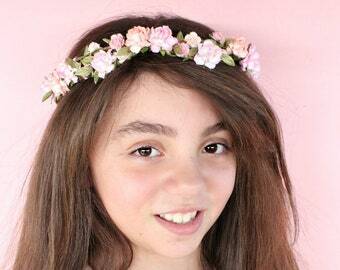 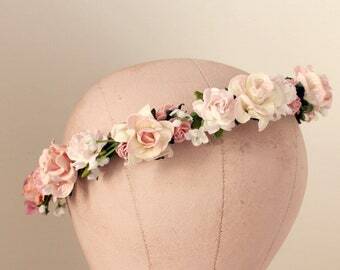 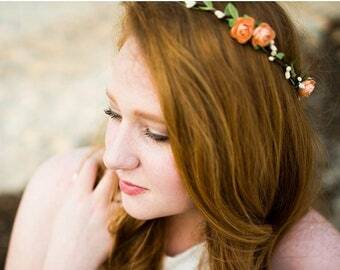 This floral halo is open on the back and have ivory ribbon to adjust to fit any size of head.